ASLAN FRONTMAN CHRISTY Dignam has dismissed reports that his cancer has returned, contradicting a direct quote he had earlier given to a journalist from the Irish Sun. Speaking on the Ian Dempsey Breakfast Show on Today FM, the veteran singer claimed that “there’s no emergency, I’m dancing” when the presenter asked about the story published over the weekend where he’d said his cancer had returned. He said that his blood tests “go up this week and down again the next”. News had emerged over the weekend based on an interview with the Irish Sun, that Dignam’s cancer, which he had been first diagnosed with in 2013, had returned. In audio heard by TheJournal.ie from that interview, Dignam can be clearly be heard saying “the cancer is back at the moment”. The Aslan singer also told the Sun: “I got a terrible shock. I got the result from my monthly blood test that I’m most afraid of. It was the worst news I could get, that this negative protein is growing inside my body. All I can do now is more chemo but I’m not confident. Your blood develops an immunity to treatment so there’s no guarantee it’s going to work. The news was followed by an outpouring of support, with well wishers expressing the hope that Dignam made a swift recovery. Speaking today, however, Dignam appeared to contradict this earlier statement, calling the news an “exaggeration”. “My bloods fluctuate,” he said. “They go up again this week and down again next week. There’s no emergency. I’m dancing… that was just a load of garbage. Aslan were speaking to Dempsey to promote their upcoming gig next month in the Iveagh Gardens, which the band said would be the first outdoor concert in Dublin since playing the Ilac car park in 1998. They were accompanied by a documentary team who are making a film about the band, and have been following them for some time. ‘I’m sick of them at this stage,” Dignam joked. 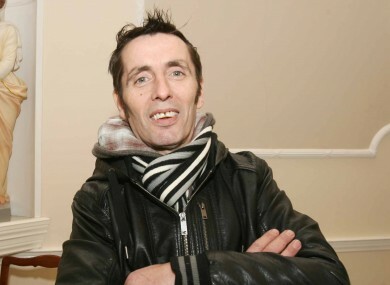 Email “'There's no emergency': Christy Dignam rolls back after saying cancer has returned”. Feedback on “'There's no emergency': Christy Dignam rolls back after saying cancer has returned”.